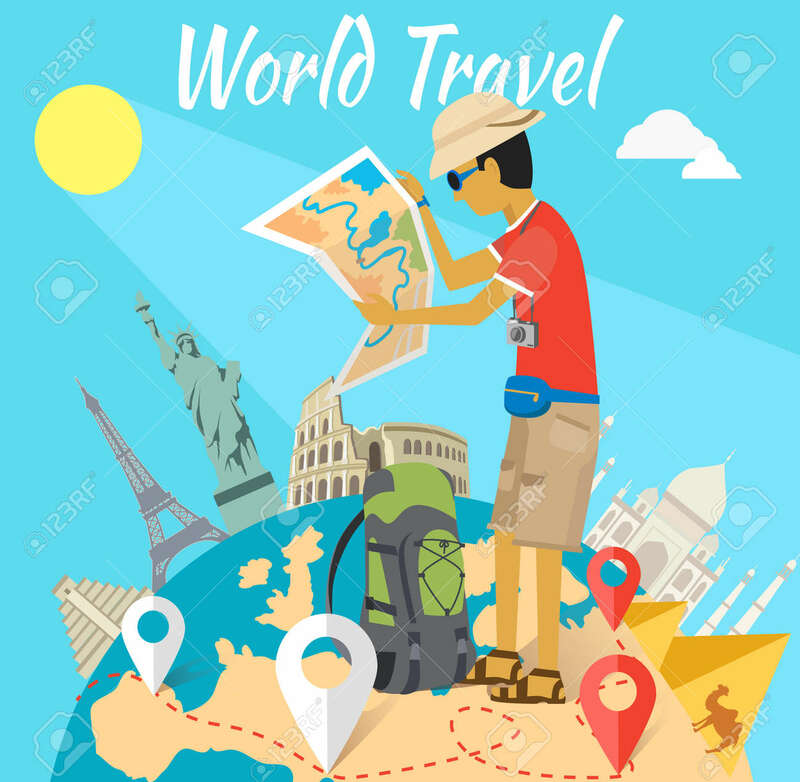 Concept Of The World Adventure Travel. Relaxation Journey, Leisure And Rest Tourism, Statue Liberty, Eiffel Tower, Colosseum And Tourist With Map, Trip Global Tour Illustration Клипарты, векторы, и Набор Иллюстраций Без Оплаты Отчислений. Image 45480253.